Hello loves! Even though I am not the biggest One Direction fan out there when I heard that they are doing collaboration with MUA for their own makeup line I got curious. Usually this type of collabs between makeup brands and celebrities don’t look very promising to me but this time the items looked intriguing. On picture at least. 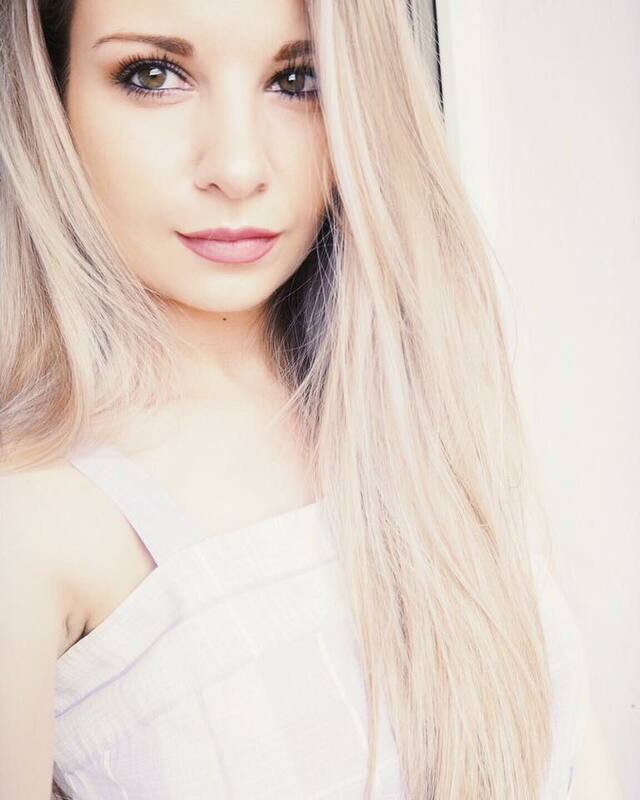 When I was in London I just had to take a peek and I swatch some of the products. I was rather disappointed; I am not going to lie. The formulation of the items was just not doing it for me so I decided to play it safe and get a nail polish. They offer five different shades, one for each of the boys, and the only one I liked was Raspberry Rush Zayn. The nail polishes retail for just £3, which is great and my hopes were up. Sadly this didn’t last too long and I will have to say that this nail polish was a total disappointment. To start off, I think I have to mention that the color is just beautiful. It is this deeper raspberry pink shade that looks stunning on my hands. The nail polish is a nice cream and doesn’t have any shimmer or glitter in it. It also dries to a nice glossy finish. Aaaand I think these are all the good things I have to say about this polish, unfortunately. 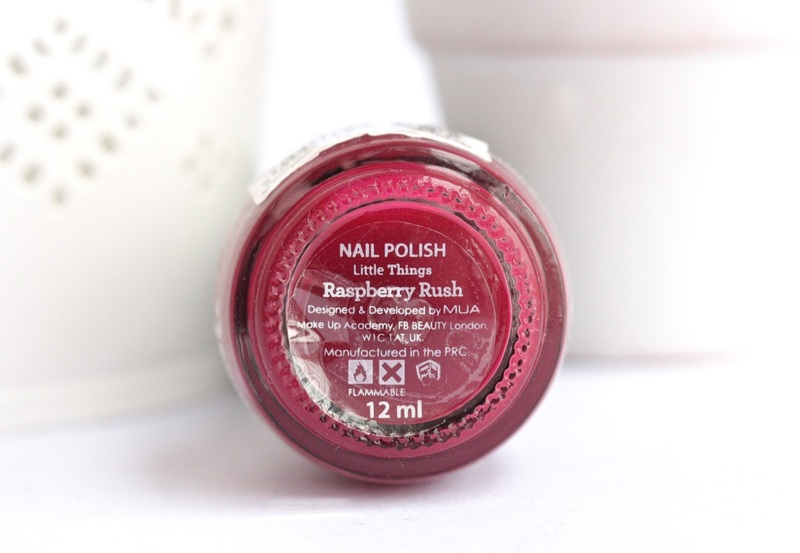 The formula of Raspberry Rush is ridiculous and I don’t think I have ever applied worse nail varnish on my nails. First of all, I am sorry that I didn’t show swatches on my actual nails but it’s just that the polish is so runny and liquid-y that it goes directly onto my cuticles and it’s a paint to remove afterwards. Apart from this not very pleasant issue, the polish is actually so sheer that you need at least three relatively thick coats to get it somewhat fully opaque. 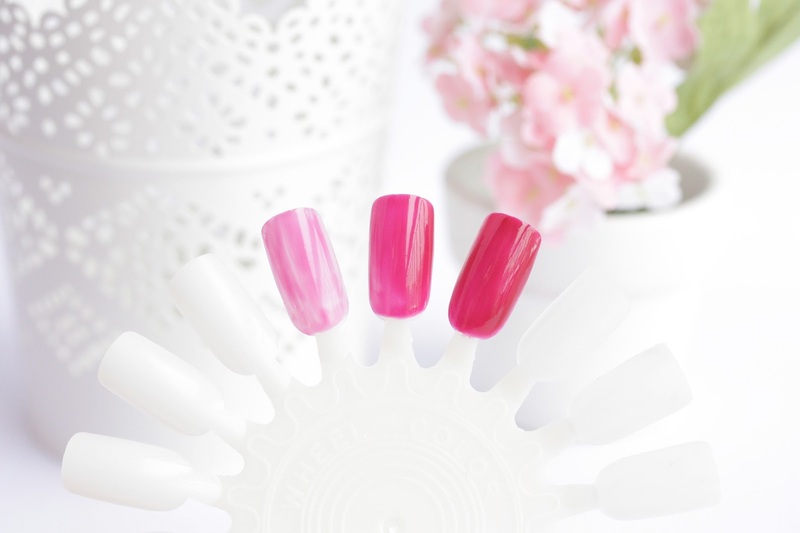 The brand claims that this is “Nail polish with strong color pay-off. Apply in just 3 strokes!”. Yeah, it’s more like ‘apply in three as thick as possible layers’… Not cool. Also the polish takes absolute ages to dry, so brace yourself. If you are a very patient person and you’ve got this far - congratulations! Sadly, I will have to tell you that it’s all been for nothing because the polish will start chipping within the next few hours. Brilliant! Overall, this 1D Nail Polish was a complete disappointment as the formula is plain terrible. I wanted to like the lacquer so badly because the color is absolutely gorgeous but I certainly can’t pass the hideous formula. Needless to say, I don’t recommend this nail polish range and I probably wouldn’t ever consider trying any of the other One Direction makeup bits. If you love any of them though, please let me know and I will gladly give them a whirl and see how I like them. As for now though, I will have to stick with my observation that celebs collaboration with makeup brands just doesn’t really work out. Have you ever tried the 1D Little Things Nail Polish range? If so, how did you like the varnishes? I love MUA! And great pics. Haven't tried this before but oh, the colour looks lovely! ♥ Such a shame that the formula was bad, the worse thing about nail polishes actually! Great review hun! It's a shame the formula is no good, I hate when that happens! To be honest I didn't have high expectations of any the 1D range, guess they are just using their name to sell! I haven't tried them myself but i don't think i will be picking these up anytime soon. Unless it's for a little christmas present for my 1D obsessed little cousins. great review - good to know it's not the greatest. I'm not a major 1D fan so I don't think I would've gone for this..